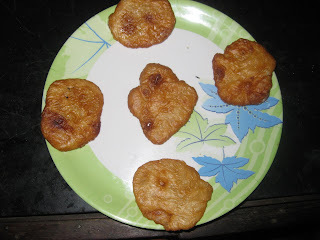 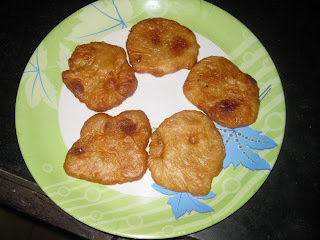 Hi Friends today i coming with another homely snack recipe called "Chuppulu".Chuppulu are also know as Chekkilalu and it is mostly famous in north part of Andhra Pradesh.I have learned this recipe from my mom. 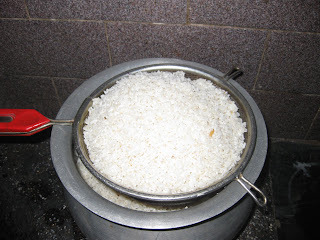 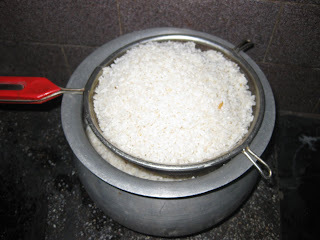 Soak the rice in water about 8 hours. 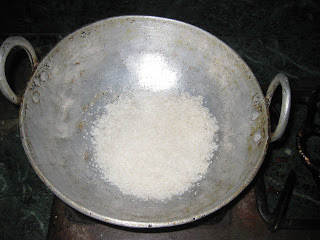 Drain the rice completely and dry it for about 30 minutes. 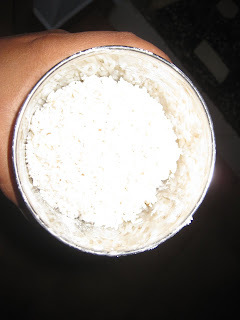 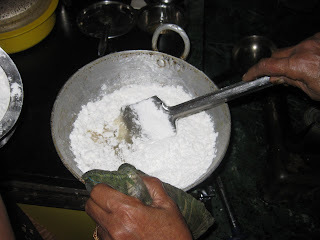 Grind the soaked rice into fine powder.In India usually the powder made in a mill.Here we can do it using mixie.Grind the rice and sieve the powder to remove coarser grains.Grind the coarser grains and sieve again.The end powder should be in smooth texture. 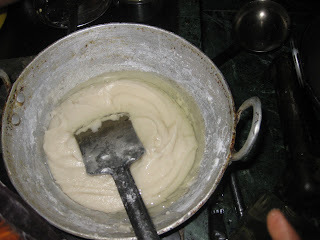 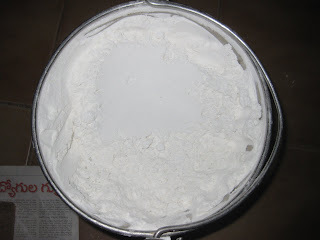 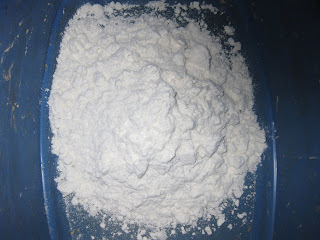 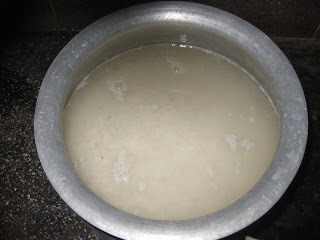 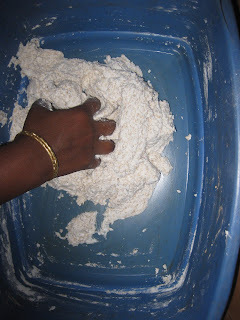 Now take the powder into a bowl and add sesame seeds,salt mix well.Then knead by adding water little by little in order to make it as smooth dough.The dough should be little bit thinner than chapathi dough. 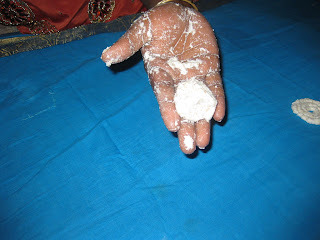 Spread a clean cotton cloth . 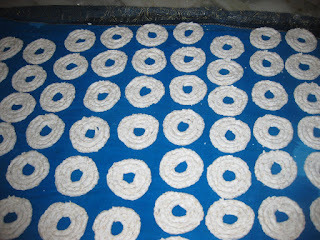 Now take small amount of dough make a round shape on a cloth by rolling the dough with fingers.Roll out into the shapes as in the picture on to dry cloth. 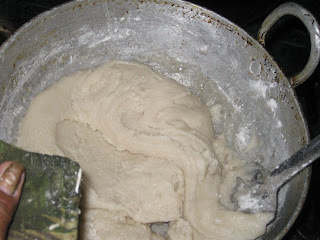 Repeat this process with the remaining dough.Let them to dry for 1 hour. 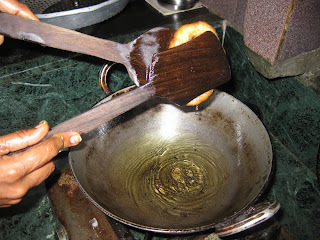 After one hour heat the oil in a frying pan.Take with a flat shape spoon or with hand take them onto a plate. 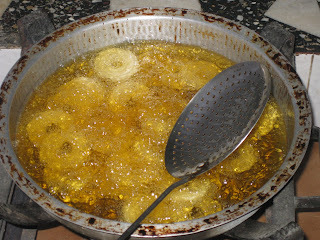 Slowly drop them in oil a few at a time. 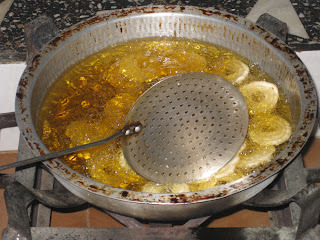 Once Chuppulus are floating in the oil turn them slowly.Fry them on a medium flame until they turned into light golden colour on both sides. 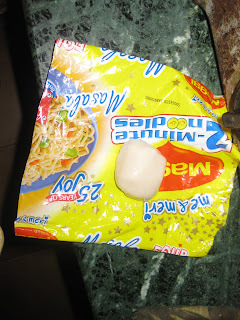 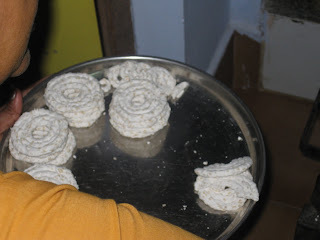 Now Chuppulu are ready to eat. 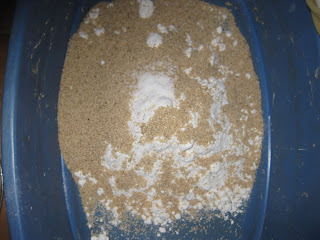 Can be stored in a dry container for one month. 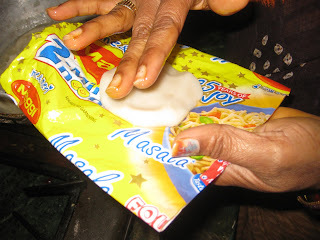 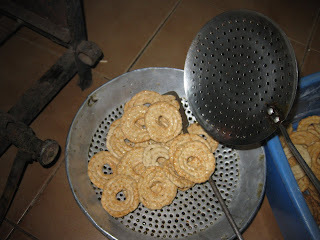 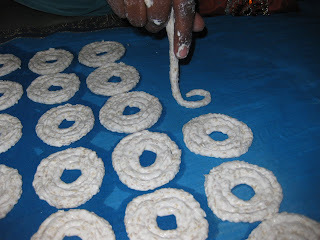 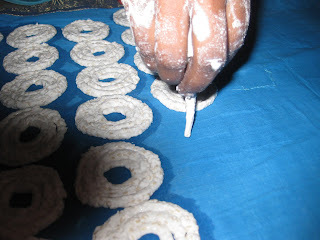 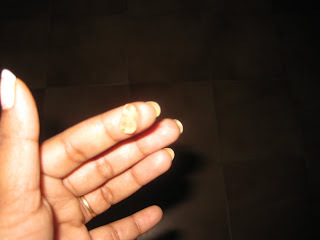 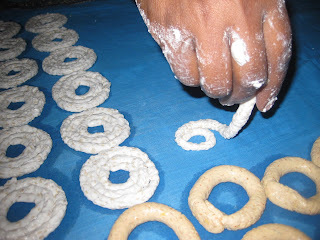 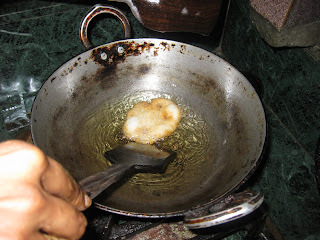 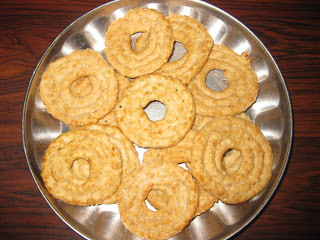 Note: If you are not able to make it with hand then try with muruku press (choose the one with a single round hole in order to have the the shape as shown in the picture). 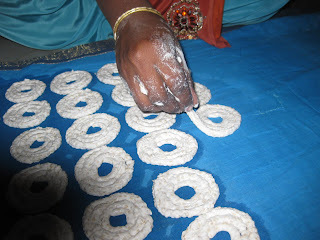 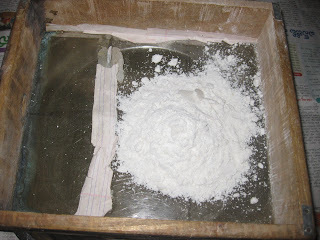 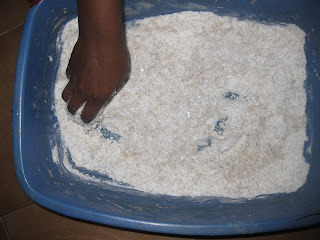 Put this dough into the muruku press little at a time and roll out into the shapes as in the picture on to a a dry cloth. 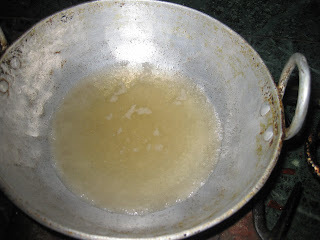 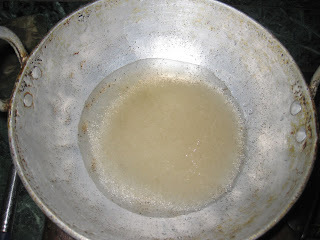 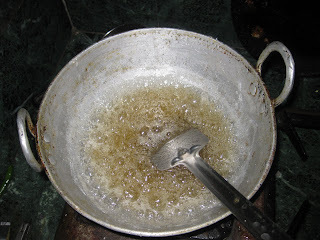 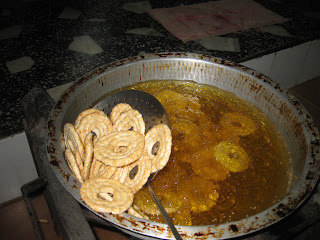 Hi friend today i coming with very tasty sweet Ariselu.Ariselu needs extra care and caution while making sugar syrup and sugar measurement.Very oily so we have to drain carefully by pressing hardly.This is very auspicious and a must sweet for marriage in Andhra.This recipe from my mom.When my mom made this i took pictures.come to recipe..
Soak the rice overnight and drain the water. 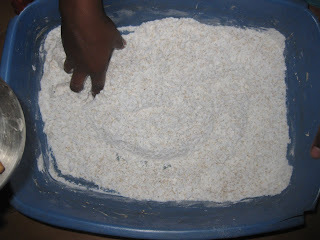 Grind the rice to make a fine powder and sieve. 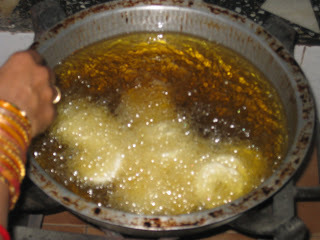 Now add 1/4 cup of oil to the above sweet dough.mix well. 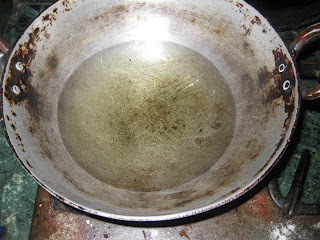 Heat oil in another pan.When oil is hot. 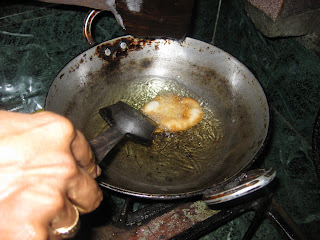 Now take plastic cover and grease it througly with oil.Keep the ball and flatten it to make round.Slowly drop into hot oil and lower the flame. 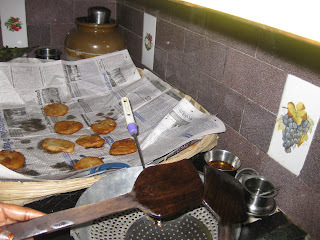 When it turns brown,flip to the other side and remove after both sides become brown.. 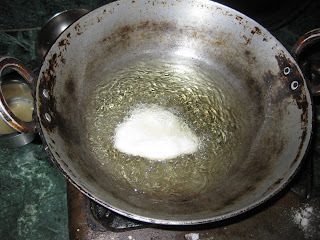 Remove and squeeze it between 2flat ladles.Remove oil as much possible and place on papper towles to absorb the extrra oil. 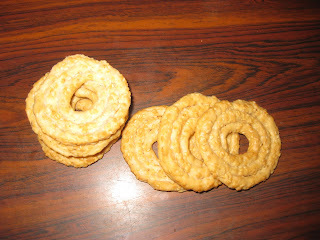 Now Ariselu are ready to eat.Can be stored in a dry container for one month.